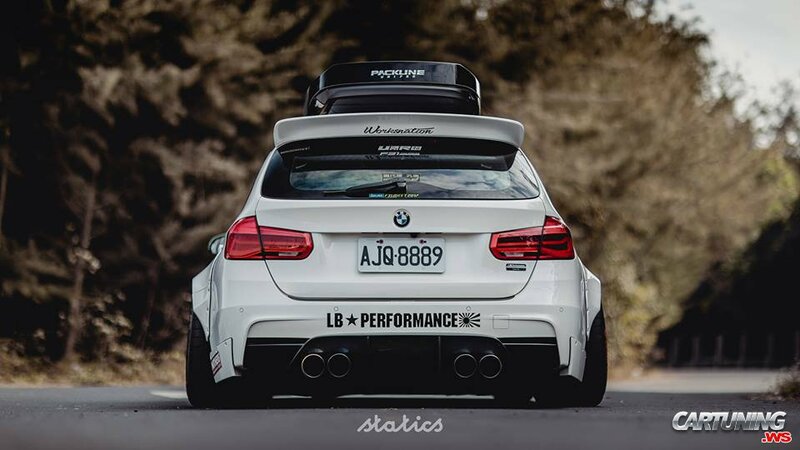 White BMW 3 Touring F31 with widebody. And it's first and only Touring with wide body kit i've ever seen. Such wagon is ideal decision if you need practical car with many space, but else you want unique car, because you can's simple drive stock car. Even new and expensive.